Outside the Box: Dragonfly Dreams into March! we got some of their cute images to work with and I used the floral collection to come up with this one! 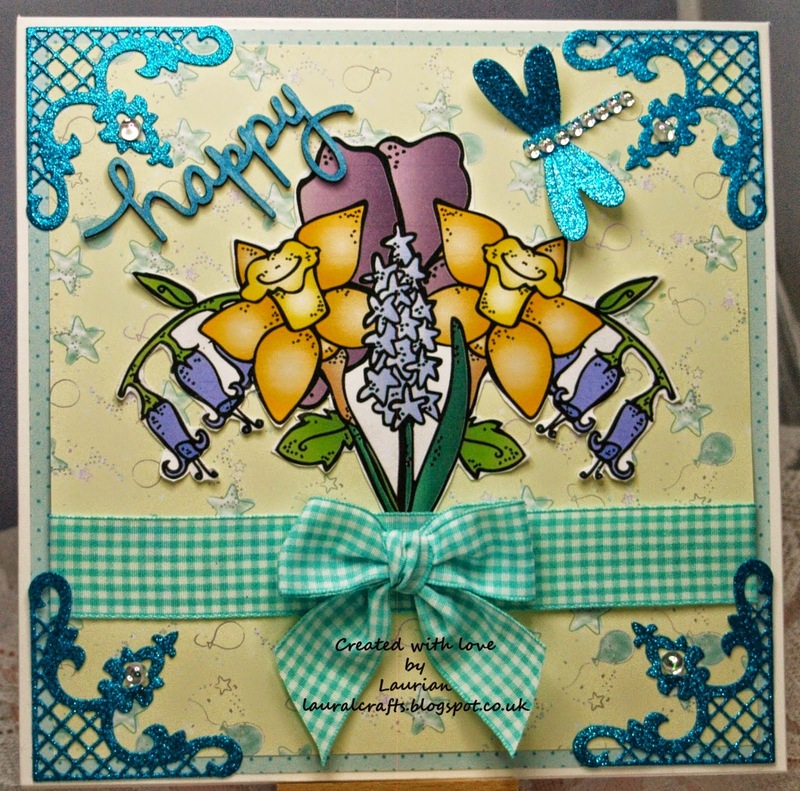 As it's officially the first day of spring in the northern hemisphere I thought I would make a Spring card! I used a selection of the spring flowers in the collection and built them up into a nice spring bouquet! The papers are from a Tatty Ted collection and I added some turquoise gingham ribbon, some teal glitter corners and a dragonfly (what else could I add!) a little bling and this was the result! I hope you will come on over to Dragonfly Dreams and join us this month in this new challenge!